Stay up-to-date with what's coming, going or changing on Freeview, the UK's free-to-air terrestrial TV service. This section will be updated with the latest updates, usually added within 24 hours. Any updates highlighted in yellow are for viewers with Freeview HD/YouView devices only. The data in brackets, e.g. (ArqB/COM6) refers to the multiplex or 'group of channels' that the service belongs to. For more information about multiplexes, please click here. "Streamed channel" refers to services that are broadcast to compatible connected Freeview devices over the internet. Channel 790 - CBS Drama Retune slate (COM4/SDN) Will appear on channel 64 prior to retuning. Channel 792 - Horror Retune slate (COM6/ArqB) Will appear on channel 70 prior to retuning. Channel 201 - Holidays TV (SDN) - now completely removed. Channel 202 - Rabbit (SDN) - now completely removed. Channel 203 - Gay Rabbit (SDN) - now completely removed. Channel 204 - 121 Dating (SDN) - now completely removed. Channel 82 - NEW True Christmas (Local). Local TV coverage areas only. Dates may be provisional and subject to change. End January 2016: BBC Three and BBC Three HD to be replaced by promotional service, by start of March 2016, services to be removed from Freeview. 2016: CBBC to be extended by 2 hours a night, to broadcast until 9pm. 2017-2019: roll-out of BBC One English regions and BBC Two Nations in HD. 2018-2022: 700MHz clearance / switch to DVB-T2. Major changes to the Freeview service expected. Synapse 2 and 3 (channels 250 and 251) are placeholders for forthcoming new streamed channel services. Receipt of an Ofcom licence is no guarantee that a station will launch. Property TV (internet streamed channel). Local TV services for Aberdeen, Ayr, Basingstoke, Carlisle, Dundee, Guildford, Maidstone, Mold (NE Wales), Reading, Salisbury, Scarborough, Swansea are licensed by Ofcom and due to launch within the next two years. 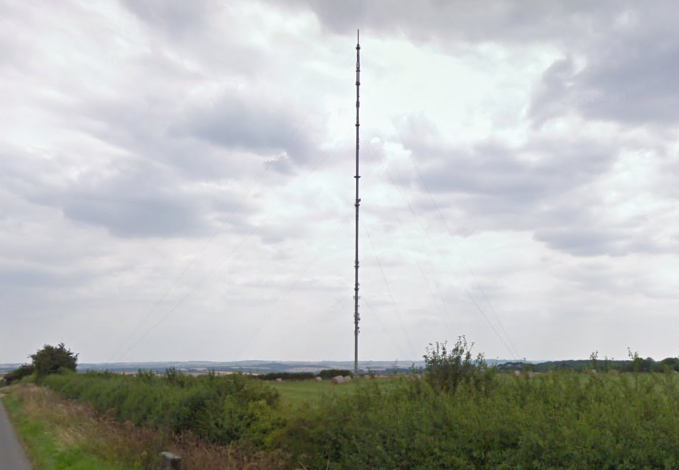 That's Berkshire (Reading) and That's Hampshire (Basingstoke) are also due to launch next summer, following Ofcom approval of technical changes affecting their transmitter site. It's ten years since Sky replaced Sky Travel with Sky3, the channel that later became Pick TV (and then just "Pick"). It marked a major change in strategy for Sky, who used the channel as a way of offering Freeview viewers samples of its entertainment programming. At the time, Freeview's popularity was soaring, and commercial operates were willing to pay over £10 million a year to secure a broadcast slot on the platform. ITV4 also launched ten years ago, originally broadcasting from 6pm. The ITV News Channel paid the price for this new channel: the news channel was pulled at 5:59pm every night to allow ITV4 to start. In December 2005, the News Channel was finally closed down. On the 1st December 2012, S4C closed its HD channel Clirlun. S4C hopes to restore an HD service in the near future. Freeview has joined the connected TV revolution with a service that combines regular Freeview and Freeview HD with catch-up and on-demand services, and a backwards scrolling EPG like YouView or Freesat Freetime. Future-proof your Freeview with Humax's new Freeview recorder with Freeview Play for £199 on Amazon. a516digital derives information from a number of different sources, including individual service providers, platform operators and regulatory organisations. In the absence of official information, a516digital uses broadcast monitoring resources to check for service changes as well as direct observation and reception reports from readers. Information is usually updated within 24 hours, but may take longer to appear if verification is required and is subject to revision. Older pages, including archived items on this website may not reflect the current situation. This page will be updated throughout November and December 2015 with the latest developments. If there's a major update it will be re-posted near the top of the homepage.